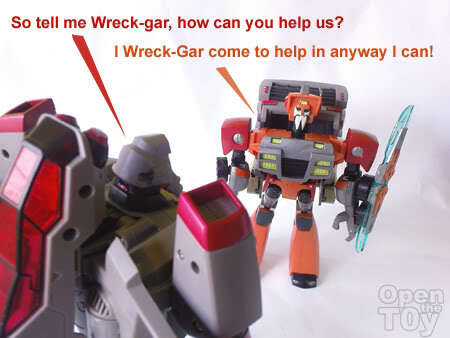 Just got hold on Wreck-gar a week ago. 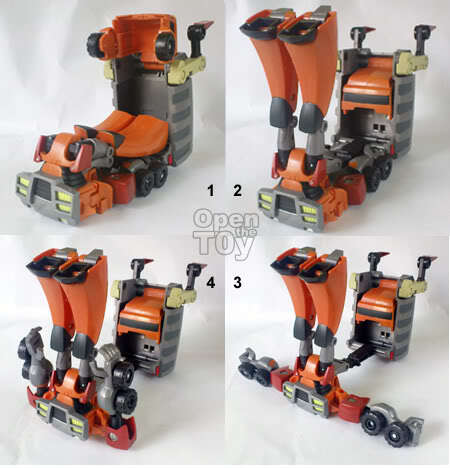 Being wanted to get this guy for ages and finally got hold of it on retail. 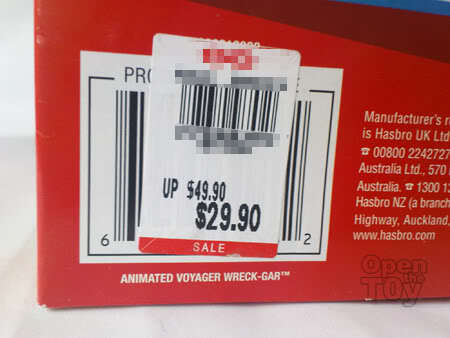 Compare to some toy specialize stall that sell around $45, this is a good time to buy from retails. The reason is clear. These are some others in the series I "may" get when the price is right. Time to open the toy! 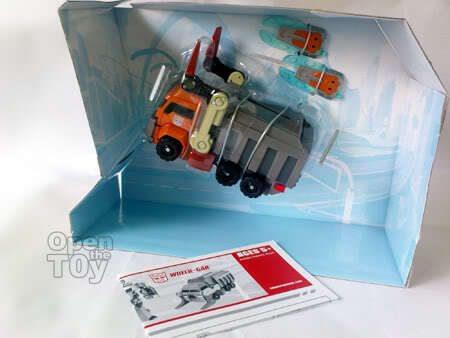 Wreck-gar only occupy 60% of the spaces of the box... with 2 blades as weapons and an instruction manual as well. The auto lifting device a pretty good touch. 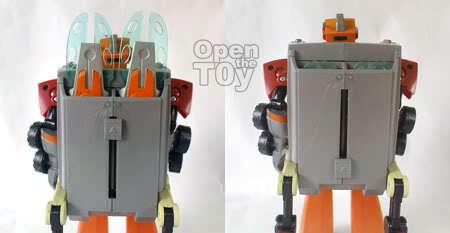 The transformation is pretty straight forward. 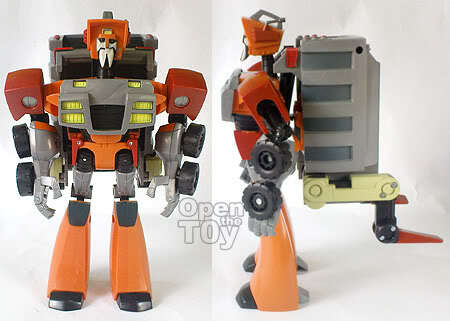 In robot mode, Wreck-gar is quite tall. 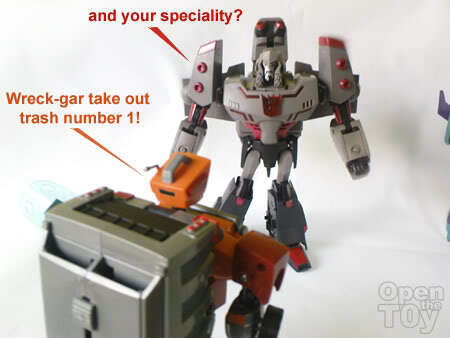 Maybe that the reason it classed as voyager. 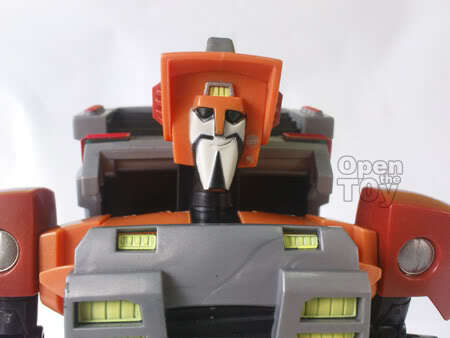 The head design is handsome and animated accurate. As for weapons, you can armed it in two different ways. A handy idea for storing the weapons when they are not in use. 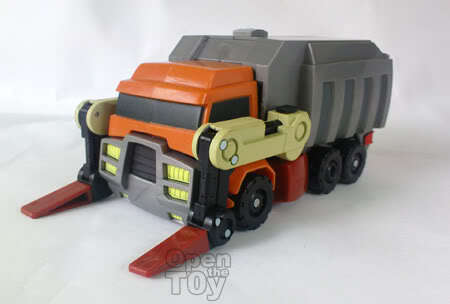 That's a cool one and a great homage to the G1 Wreck-Gar! Yes it is. Derrick J. Wyatt the designer put his heart in it. I like this character very much. Always positive. Kinda like a Yes-man tho. Nice comic strip! 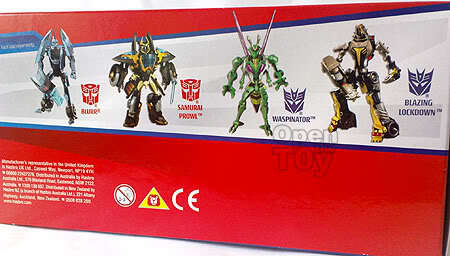 This is the only voyager class that I really like. 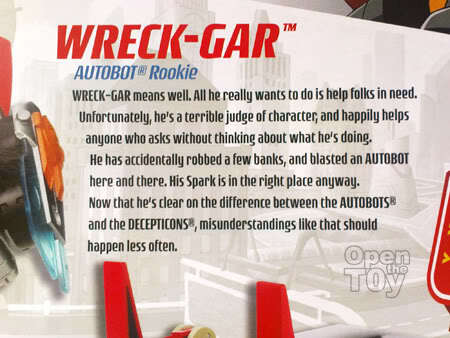 But we haven't seen him on our shelves yet in Canada. 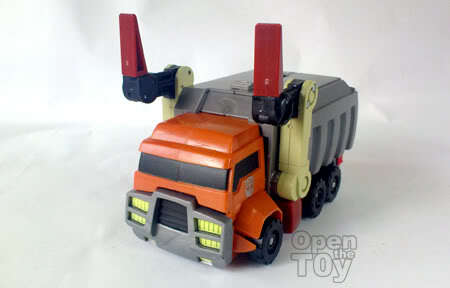 We are pretty up to date in the deluxe class department, but we are far behind in the voyagers in both TFA and TFU. 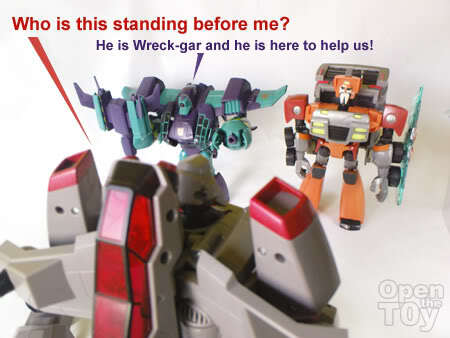 I am still looking for Blurr and Samurai Prowl, can never find them when they are on sale! Thanks Jcee. 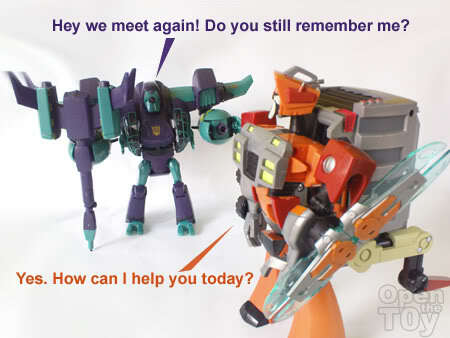 Over here Blurr and Samurai Prowl are equally hot. They are off the shelves fast. I never get to see them in person as I only go shopping at the weekend. 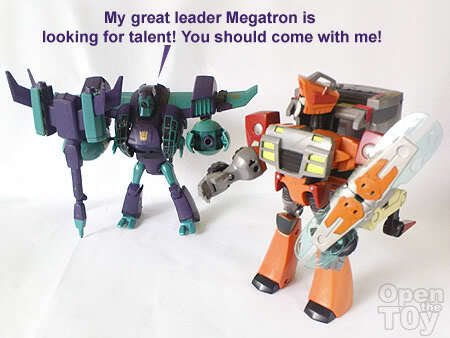 I'm looking for Samurai Prowl myself too. 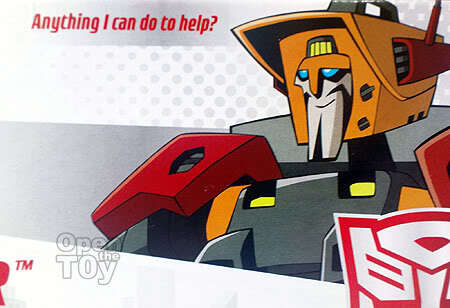 Btw you interest in getting a Cliffjumper activator? Nah, I don't really collect activators. 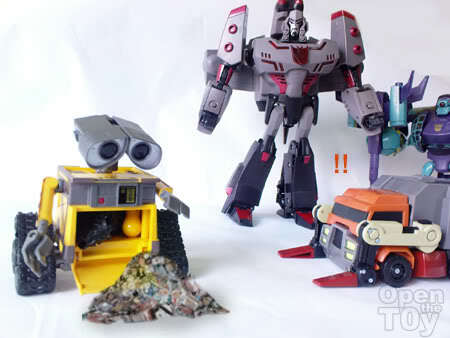 The ones I got (Grimlock and Megatron) were just because I wasn't going to get their larger counterparts. 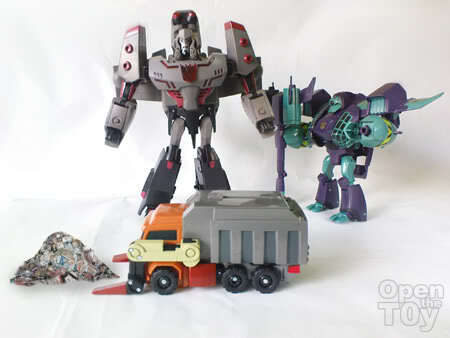 I mostly buy deluxe size since they are smaller, but still have good transformation. 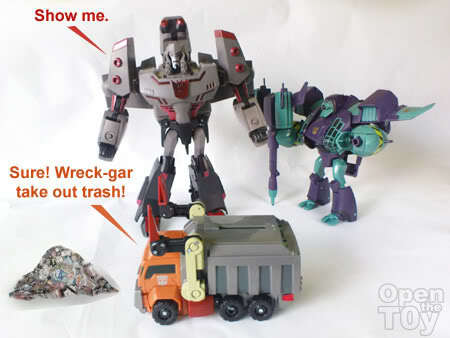 I wonder if one of those side toy companies will make a small container for Wreck-Gar to dispose trash with. 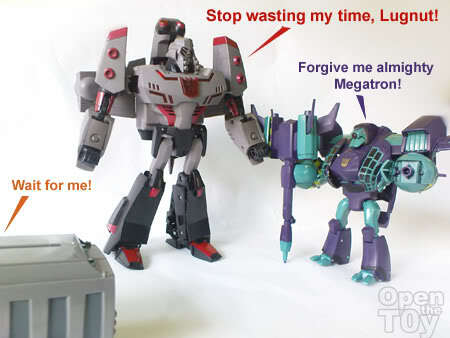 Silly comic, I love it! I will start looking for him in Idaho. Indeed a good buy with almost 50% discount. 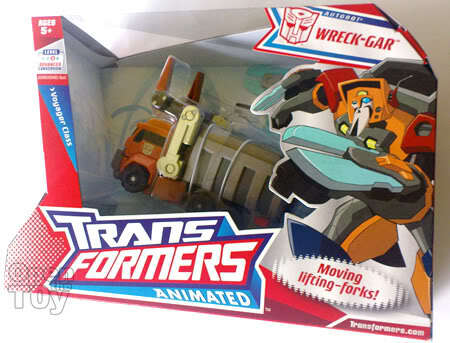 This Wreck-Gar looks very alike the one shown in Transformers animated movie in robot mode. 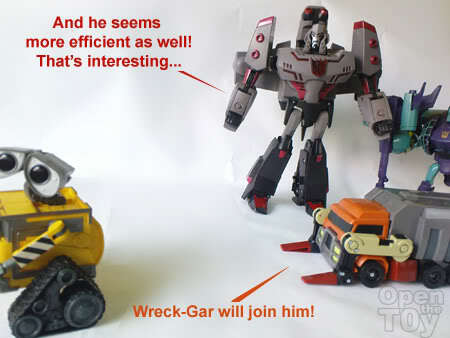 The difference is that the one in animated cartoon series is a rubbish truck. 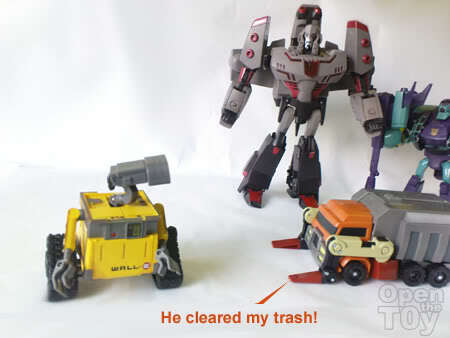 Good think bring Wall-E into the story. 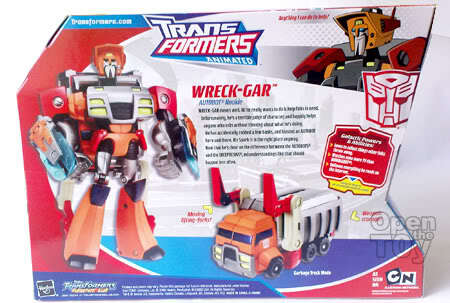 Btw, I've never notice Wreck-Gar in the stores. Is he hard to find? 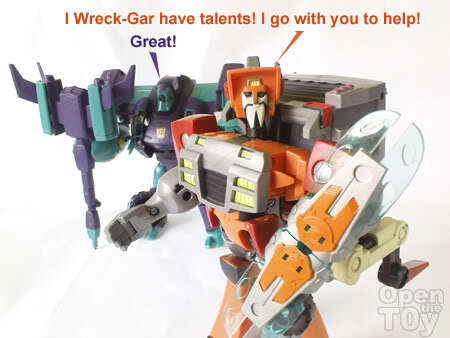 Wreck-gar not hard to fine in store now compare to shockwave. Snark what make you think so? 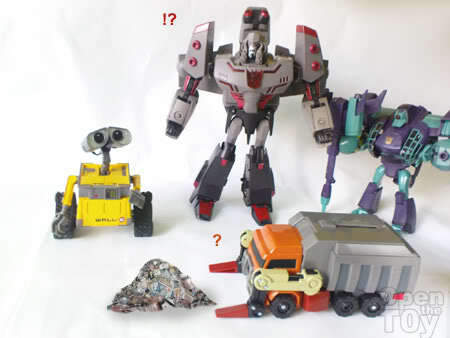 Wall.E look too innocent for that don't you think?